Prince Ng’andu, MA in leadership, serves as a district pastor in South Zambia Conference, Monze, Zambia. He is pursuing a PhD focusing on School Leadership. For church growth and development to take place to any meaningful extent, every church needs to have a system for the development of leaders as well as a succession plan based on sound principles. The Seventh-day Adventist Church is no exception. 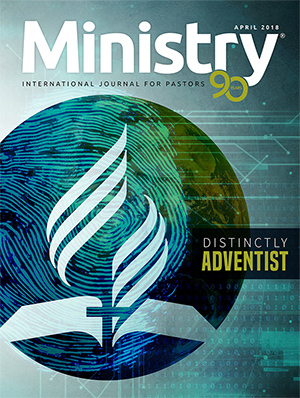 However, the Adventist Church has often overlooked this important factor, and as a result, matching pastors with the right leadership skills for various church appointments has been a critical problem. Leadership development and succession is as old as the human race. 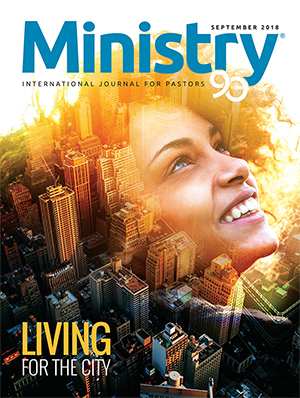 While it has been extensively addressed in secular contexts, the Bible and the writings of Ellen G. White provide a rich source of guidance in addressing leadership development and succession. Specific instructions were directed to the Israelites regarding the training and preparation of the emerging generation of leaders1 (Deut. 6:6–9; 20–25). At the same time, no positional appointments were promised to anyone.2 The Spirit of God guides that process. These leaders are selected and developed, and then in turn, they develop others. This process was also critical to the early church, and is vital to church sustainability today. In most cases, pastors are appointed to leadership positions based upon the position of trust that they hold or the number of years served. Leadership skills are often not meaningfully assessed, and pastors commonly hold leadership positions without adequate preparation. In addition, no intentional plans exist regarding leadership development and succession when need arises. Because of this deficiency, in many countries the church finds itself facing great challenges in terms of leadership continuity in key positions and developing intellectual and knowledge capital for the future. As Blackaby and Blackaby say, “The greatness of an organization is directly proportional to the greatness of its leader.”3 Sometimes conference leadership vacancies take some months to be filled. 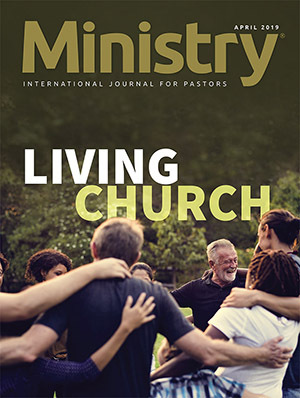 Often, those who fill the positions have not been groomed from within the organizational structure to fulfill the position and thus advance the mission of the church. And, too often, vacant positions that fall outside the regular term of office are filled by a person already burdened with responsibility. Manuel London says, “Leadership development strategies and programs follow from the changing needs of the environment in which it operates. Development is not a one-time event, but a comprehensive approach to individual and organizational growth and renewal.”4 Neglecting leadership development and succession planning can put organizational success at great risk. Although there are many differences between the early church and the modern church, today’s leaders can learn important lessons from the approaches of leadership development and succession used by the early church. In both Testaments, biblical leaders developed emerging leaders with the intent of handing the baton of spiritual leadership to them. The Old Testament book of Numbers delineates the relationship between Moses and Joshua and typifies the leadership development and succession planning that was needed then and now. Frank Gaebelein states, “Numbers 27:12-21, the context of this passage is the succession of leadership from Moses to Joshua and how Joshua was prepared to be the next leader.”5 All elements of successful leadership development and succession are a part of this biblical account. The relationship between Moses and Joshua started years prior. 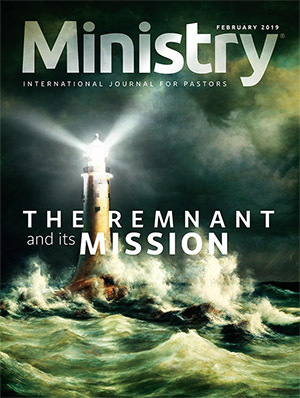 Kevin Beery notes that “Forty years before Moses’ death, God had begun to prepare Joshua for the task of leading the people to inherit the land. A careful study of Joshua’s development in the Pentateuch confirms this to be true... Moses mentored Joshua for nearly 40 years before the leadership transition took place.”6 This was because leadership succession is too important to wait for a vacancy to be filled before a plan is considered. In Exodus 17:8–16, Moses chose Joshua to lead a battle against the Amalekites due to his recognition of his leadership skills. By so doing, Moses was providing Joshua with the needed opportunities to develop him for challenges that he would face in his future leadership position. Similarly, it is important for institutions to provide opportunities for upcoming leaders to develop their leadership skills in preparation for greater leadership responsibilities. In Exodus 24:13, we see Joshua accompanying Moses to receive the Ten Commandments from God. Joshua was also put in charge of the military, while still subject to Moses. Acting in the capacity of Moses’ assistant, therefore, developed him into an even more capable leader. After this experience he gained other skills before eventually accepting full responsibility when Moses died. The case of leadership development and succession from Moses to Joshua provides a biblical foundation that should guide leaders and institutions as they prepare for seasons of transition. The succession of leadership from Moses to Joshua was successful because Joshua received direct mentorship from Moses. The relationship between Elijah and Elisha presents another clear example of leadership development and succession planning. There is a need for continuous development of potential leaders and providing them with the opportunities to apply and further develop their leadership skills. Had it not been for Elijah’s passion to develop Elisha, it would have been hard for him to find a successor. Elisha was prepared for his prophetic ministry through his close relationship with the prophet Elijah. When Elijah was taken up into heaven, his mantle fell on Elisha, and he received a double portion of the Spirit. In other words, Elijah developed a leader who was greater than he was. Collins believes that “the figure of Elisha is unique. He is the only example of a prophet being designated and appointed as the direct successor of another.”8 Elisha is represented not just as a disciple but almost as a continuation of Elijah. He not only carries on the spirit of Elijah, he completes a number of actions in the story that were begun by Elijah, particularly those concerned with Hazael and Jehu. From this we see that grooming leaders will facilitate the continuity of any institution. In the New Testament, Jesus’ leadership development and succession planning is the most healthy and productive strategy that we possess. For maximum effectiveness, Jesus spent time developing His successors when He recruited His disciples to follow Him. In Matthew 28:18–20, Jesus entrusted the leadership succession of His church to His eleven disciples. Jesus selected each of these persons, taught them, modeled leadership to them, gave them leadership experiences, and allowed them to make mistakes. In doing so, He transformed a group of very ordinary followers into a nucleus who would turn society upside down in just one generation. These were the future leaders Jesus intended to use to build His church. They became the fruit of Jesus’ succession plan. If we fail to learn from Jesus’ example, we will have walked away from a most precious mandate and will have left a leadership vacuum. As the time for the Lord’s departure draws closer, Jesus reminds His disciples of His impending death for a third time. Here we see Jesus clearly preparing His successors for their succession before it occurs. It is crucially important to recognize the fact that Jesus makes the timing of the leadership transition clear. Here we see that biblical leadership development and succession must go beyond just good intentions; it must be action-based. In the New Testament, the apostle Paul recognized the value of leadership development and succession planning when he developed Timothy into a more effective minister of the gospel. The successful relationship between Paul and Barnabas prepared Paul to develop and prepare Timothy as an emerging leader in ministry. 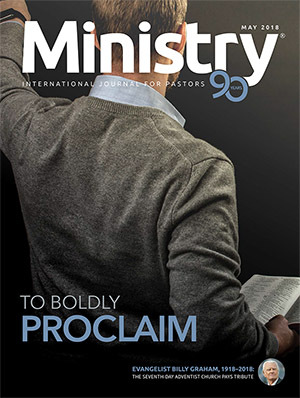 Stacy Hoehl states that “Paul carefully selected Timothy to work with him in the ministry, equipped him for ministerial tasks, empowered him for success, [and] employed him in a challenging work environment.”9 As such, Timothy emerges as a great leader whom Paul prepared to be his successor. Their relationship is a good example of leadership development and succession planning. We can learn here that leadership succession is a planned transition. It is a deliberate process that facilitates the transfer of leadership from one leader to another. Leaders who fail to develop others and plan for succession equally fail to own up to the fact that they will not be there forever. Leadership development and succession planning are not short-term strategies; they entail a long-term investment. By implementing biblical leadership development and succession strategies, contemporary leaders can develop followers who are committed, motivated, personally satisfied with their work, and prepared to face the leadership challenges of the future. The counsels of Ellen White offer much in the area of leadership development and succession planning. In most of her counsels, she uses the words train, teach, educate, instruct, and prepare, pointing to leadership development and succession planning. She states, “Those placed in positions of responsibility should patiently seek to make others familiar with all parts of the work. This will reveal that they do not desire to be first, but that they are glad to have others become acquainted with details, and to become as efficient as they are. Those who faithfully fulfill their duty in this respect, will, in time, have standing by their side a large number of intelligent workers whom they have trained.”14 Here she is pointing out that if we develop others, it becomes an advantage to the institution and to the top leadership because they would have on their side people who are intelligent and able to work with little supervision and are capable of leading when the need arises. Max DePree supported this thought when he said, “Leaders are also responsible for future leadership. They need to identify, develop, and nurture future leaders.”15 This means the first step to effective leadership development is to have the support and participation of those who are placed in leadership positions. By doing so, many will develop their skills and ability to do their work and be prepared for leadership positions. White goes on to say, “We want every responsible man to drop responsibilities upon others. Set others at work that will require them to plan, and to use judgment.”18 Those who are in leadership positions should identify potential in people who can succeed in leadership roles by developing them. White asserts: “Instead of keeping them engaged in doing things of minor importance, give them an opportunity to obtain an experience by which they may develop into trust-worthy workers.”19 When people are given the opportunity to develop in an institution, they become trustworthy to lead the institution when need arises. Even when it comes to succession, an institution will not face problems because they have trustworthy workers who understand the operations of the institution. Furthermore, from her writings, we learn that institutional leaders should not be afraid to develop people: leaders must rejoice when they develop leaders greater than themselves, and because they know that they will not lead forever, they should also leave trustworthy people who can succeed them. White advocates that “if in their ministry those whom we teach develop an energy and an intelligence even superior to that which we possess, we should be led to rejoice over the privilege of having a part in the work of training them.”20 A good leader should develop leaders who are greater than they are in every institution. In line with succession planning, White indicates that the key element needed by any leader is training others. She emphasizes that “although it may appear to you difficult to disentangle yourself from responsibilities which others cannot take, it is your duty to train others to stand in responsible positions that should you need a change and rest, which is your due, you can have it.”21 KeGroves finds that for optimal development of a healthy leadership pipeline, best practice organizations encourage effective integration of leadership development and succession planning systems.22 Training others assures a smoother continuity for institutions during times of transition. From the writing of Ellen White, as it is found in the Bible, the process of leadership development and succession planning does more than ensure a smooth leadership transition; it also prepares the incumbent for acceptance by the church. Paul’s vision and passion to reach the whole world with the gospel message compelled him not only to develop leaders for leadership succession but to prepare leadership for the then fast-growing church. The church should be concerned as we are in the forefront of evangelism campaigns; yet we are apparently doing little to provide effective leadership for the growth of the church. Leadership development and succession planning are best placed in churches that have a vision for church growth with the aim to impact many future generations. In the New Testament, Jesus’ instruction to His disciples implied leadership development and succession. He stated, “ ‘Therefore, go and make disciples of all nations, baptizing them . . . and teaching them to obey everything I have commanded you’ ” (Matt. 28:19, 20, NIV). Inclusive in the call for church leaders is the passion to empower followers for the work of the ministry. Leaders who are committed to the call for leadership development and succession equip, support, motivate, and mentor other emerging leaders to realize their full leadership potential. 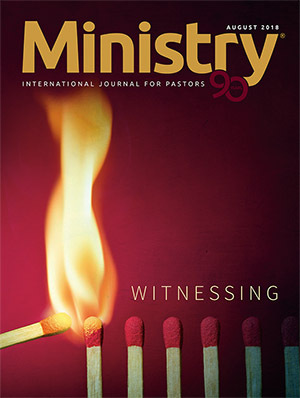 Ellen White makes a great contribution to the conversation concerning leadership development and succession issues by drawing our attention to the inspired words of God. She presents increased understanding of leadership development and succession planning as outlined by the Bible and other authors. Her writings carefully illustrate the principles promoted by the Bible. We also see examples from her writings, life, and experience illustrating how she applied these leadership development principles in her own work as a Christian leader. Both the Bible and the writings of Ellen White stress that succession planning is essential for continuity and leadership development. That was true for the early church, and it is true for the contemporary church. 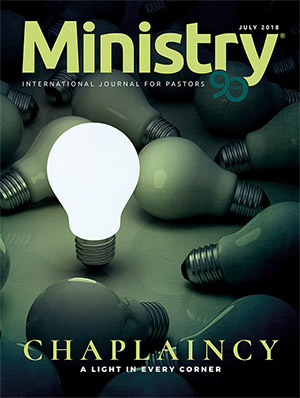 When leadership development and succession planning are implemented in the churches, the church will benefit from the simplicity of the three core constructs of the early church: select leaders with the right experience, select leaders with the right character, and select leaders with the right competencies for the job. If biblical leaders considered leadership development as key to equipping emerging leaders for leadership succession, leaders of the church cannot ignore it; if they do ignore it, they place many of today’s churches in a weak position, lacking leadership bench strength and making them vulnerable to an environment that is more demanding than ever. 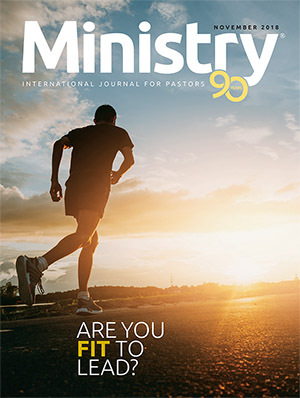 The writings of Ellen White on the subject of leadership development and succession planning make it clear that she was seeking to center the church on the clarion call of God for full inclusion in the life and ministry of the church. We are called to develop and mobilize leaders of all ages, inclusive of gender and race, to make a difference. Today, we need to trust God for the “who” as He prepares that person to take over when the time comes. That said, leaders need to create opportunities for those being developed to put their skills to use. If Moses had not let Joshua lead while he was still with him, Joshua would not have become the leader he eventually became. 1 Henry T. Blackaby and Richard Blackaby, Spiritual Leadership: Moving People on to God’s Agenda (Nashville: Broadman and Holman, 2001). 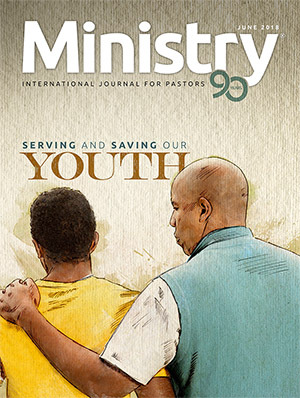 2 Ken B. Godevenos, “Will Succession Planning Work for You?” accessed May 22, 2007, http://www.churchbusiness.com/articles/644/644_251staff.html. 3 Blackaby and Blackaby, Spiritual Leadership, 51. 4 Manuel London, Leadership Development: Paths to Self-Insight and Professional Growth (Hillsdale, NJ:Lawrence Erlbaum Associates, 2002), 21. See also Prince Ng’andu, “The Succession Planning Concept and How the Church Leadership of the Adventist Education Institution in Africa Perceive the Succession Plans,” International Journal of Innovative Studies in Sociology and Humanities 2, no. 9 (November 2017). 5 Frank E. Gaebelein, ed., Genesis–Numbers, vol. 2, The Expositor’s Bible Commentary (Grand Rapids, MI:Zondervan, 1990), 945. 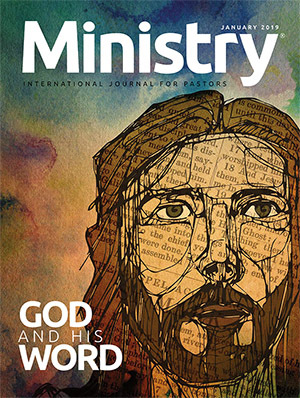 6 Kevin Beery, “The Moses-Joshua Succession From Joshua 1:1-18.” http://enrichmentjournal.ag. org/200902/200902_000_moses_joshua_ succession.cfm. 7 Peter C. Craigie. The New International Commentary on the Old Testament : The Book of Deuteronomy (Grand Rapids, MI: William B. Eerdmans Publishing Company,1976), 369. 8 Terence Collins, The Mantle of Elijah: The RedactionCriticism of the Prophetical Books (Sheffield, UK: JSOTPress, 1993), 136. 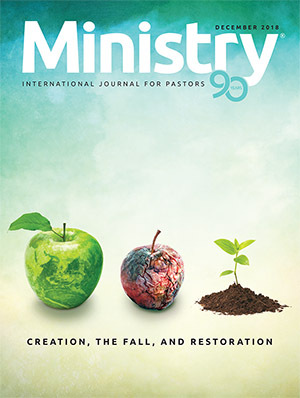 9 Stacy A. Hoehl, “The Mentor Relationship: An Exploration of Paul as Loving Mentor to Timothy and the Application of This Relationship to Contemporary Leadership Challenges,” Journal of Biblical Perspectives in Leadership 3, no. 2 (Summer 2011):34. 10 Perry L. Stepp, Leadership Succession in the World of the Pauline Circle (Sheffield, U.K: Sheffield Phoenix Press, 2005), 135. 11 Hoehl, “Mentor Relationship,” 43. 12 Hoehl, “Mentor Relationship,” 35. 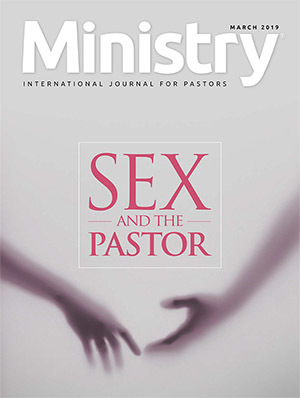 13 Richard S. Ascough, “Chaos Theory and Paul’s Organizational Leadership Style,” Journal of Religious Leadership 1, no. 2 (Fall 2002): 38. 14 Ellen G. White, Christian Leadership (Washington, DC: Ellen G. White Estate, 1985), 56. 15 Max DePree, Leadership Is an Art (New York: Dell Trade Paperback, 1989), 14. 16 Ellen G. White, Principles for Christian Leaders. (Silver Spring, MD: Review and Herald Pub. Assn., 2018), 157. 17 William J. Rothwell, Effective Succession Planning: Ensuring Leadership Continuity and Building Talent From Within, 3rd ed. (New York: AmericanManagement Association, 2005). 18 White, Christian Leadership, 43. 19 White, Christian Leadership, 56. 20 White, Christian Leadership, 56. 21 White, Christian Leadership, 46. 22 Kevin S. Groves, “Integrating Leadership Development and Succession Planning Best Practices,” Journal of Management Development 26, no. 3 (2007): 239–260. 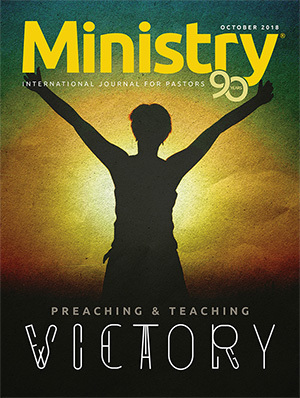 23 Ellen G. White, Gospel Workers (Washington, DC: Review and Herald Pub. Assn., 1915), 68.